Niki Sadeki is a DJ, musician, and the host of the monthly podcast series 'Allure' on Frisky Radio. Due in no small part to her popular online mixes, she has steadily gained recognition within the dance music community. With her dedication and untiring perseverance, Niki has managed to put herself on the map as an up and coming DJ and musical artist within a very short time. 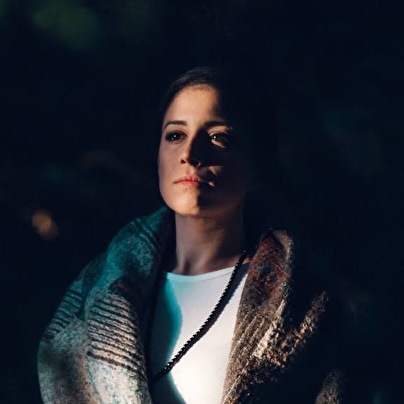 With music at the forefront, she has been travelling globally and playing in renowned venues in cities such as Berlin, Ibiza, Paris, Beirut, Istanbul, Tunis, Toronto, Montreal, Miami, Los Angeles, San Francisco, Rome, Dubai, and Cairo. With a focus on deep, melodic and ethereal dance music, Niki conveys her expression of life to listeners and engages crowds through her live sets when she's behind the decks, and through dozens of podcasts and studio mixes. Her sets have been described as musical journeys, charming listeners and at the same time inviting them to dive into their own individual world of sensations. Niki is also the founder of Deep House Vancouver, a platform dedicated to showcasing DJs, musicians from various genres of electronic music through carefully crafted podcasts, premieres and releases. With her collectivist approach to music, she hopes to develop opportunities and expand the platform into a broader community which engages and unifies its listeners through the various sounds it explores.